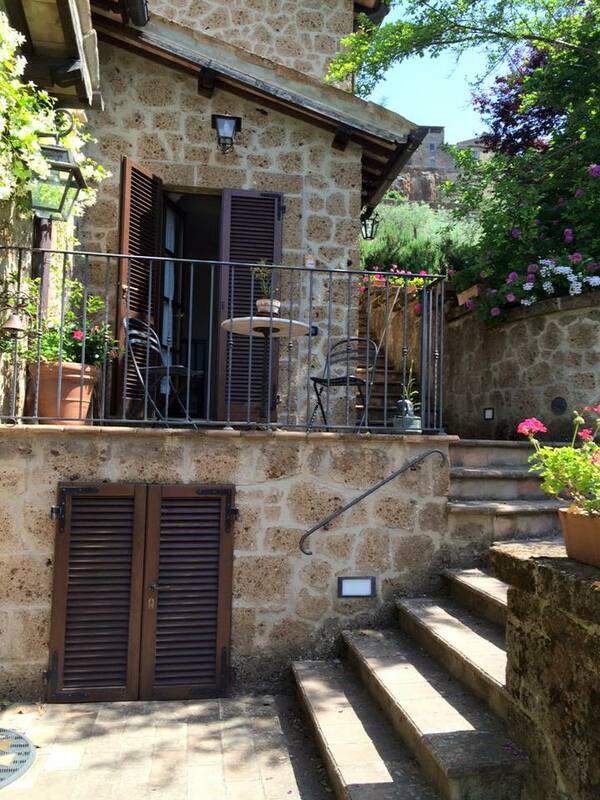 A beautiful city of hills and cliffs, Orvieto goes back centuries B.C. and was built on volcanic stone. The hills and wine country spread for miles and make for lush scenery as you drive through. The day was spent wandering through town to see their beautiful cathedral and enjoying the view during sunset, followed by a lovely dinner and glass of local wine. Before we left, we visited the neighboring town of Civita, which is the above photo of the tiny city sitting atop a cliff, in the middle of a canyon, and accessible only by the footbridge you see there. The bed and breakfast I stayed at was a serene property filled with blooming flowers and a lovely wall of fragrant jasmine. Owned by a woman named Selita, I sat here in the early morning enjoying my homemade breakfast while listening to the birds chirping and bees buzzing. Selita was so warm and welcoming, a writer in her late 50's with a sweet disposition. She had delightful wrinkles around her eyes which- I would not call crow's feet, rather they were happy looking creases, left as signs of joy and laughter accompanying the life that was still vivid behind her glasses. Selita's husband was gracious and brought me to his living room to show me his collection of clay on which his home stood back in the Etruscan period, remnants that were so abundant when their property was excavated that the museum allowed them to keep much of it. I held in my hand pieces that dated back to 500 B.C. His eagerness to share a piece of his history with us visitors from other parts of the world was endearing. After sundown it was so dark and peaceful that you heard nothing but crickets and saw nothing but fireflies lighting up in the night garden...the kind of moment you just don't get anywhere else.